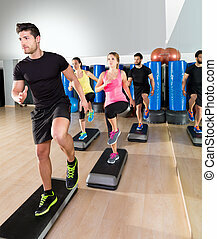 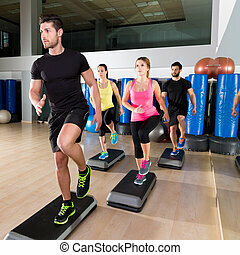 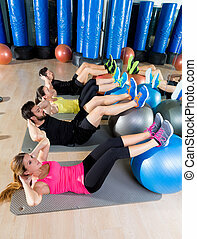 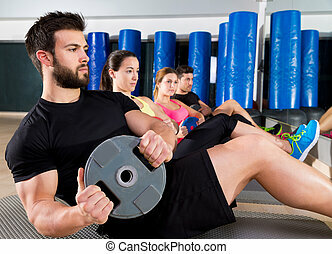 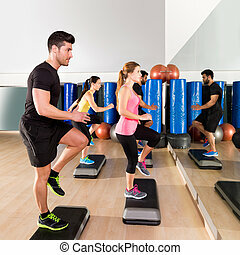 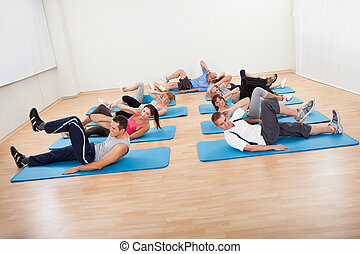 Abdominal plate training core group at gym fitness workout. 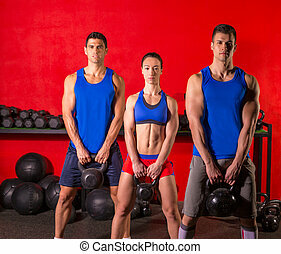 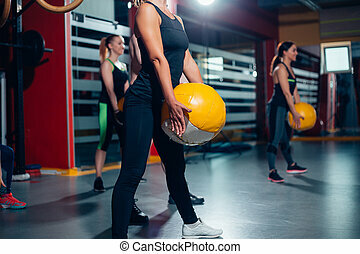 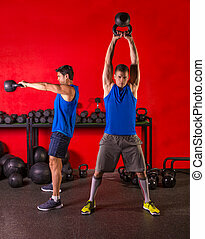 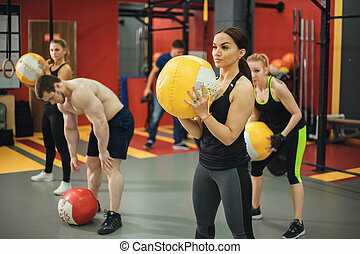 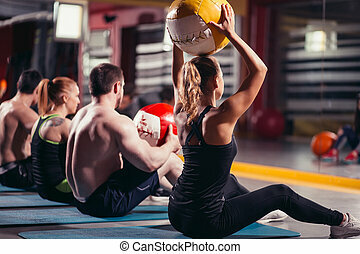 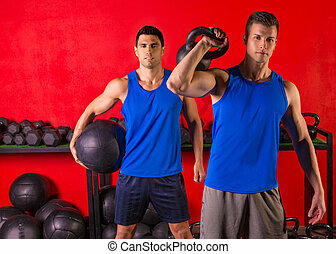 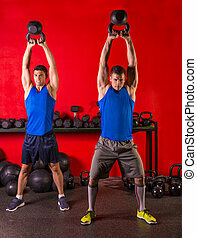 Cross fit ball fitness workout group woman and man at gym. 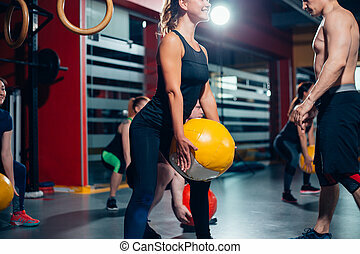 camera focus in the ball. 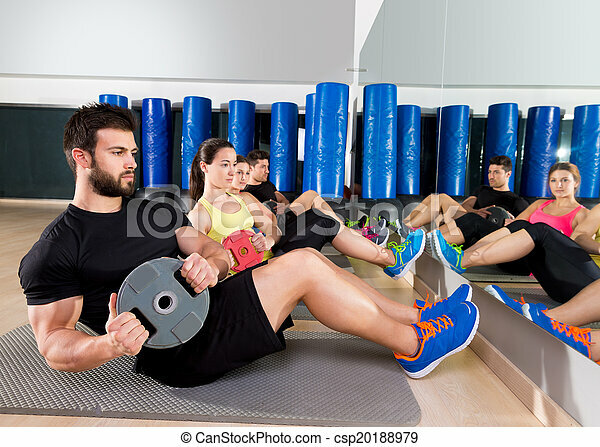 Doing all best. 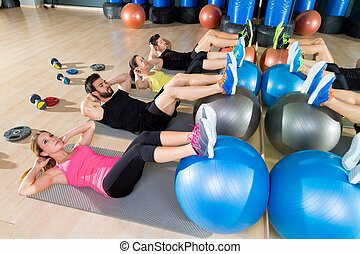 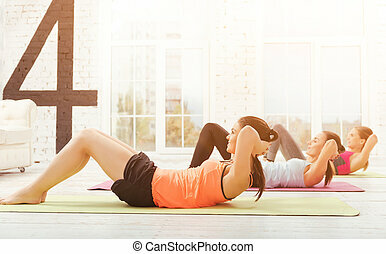 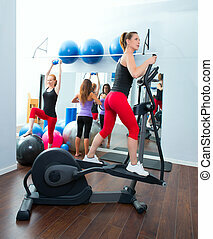 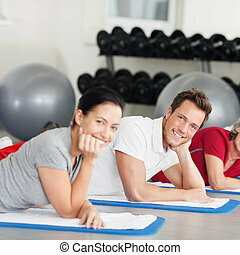 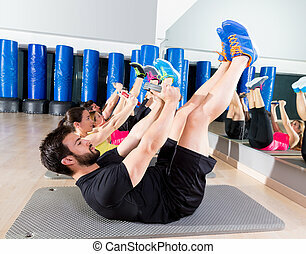 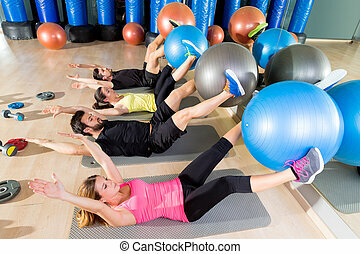 Side view of young ladies doing abdominal crunches at gym while lying on carry mates.